By Theodore Ross . Published on March 19, 2019. It wasn't that long ago that everyone thought you could save media by bringing down paywalls at publications. Content wanted to be free, or so went the thinking, and digital advertising wanted to be expensive. 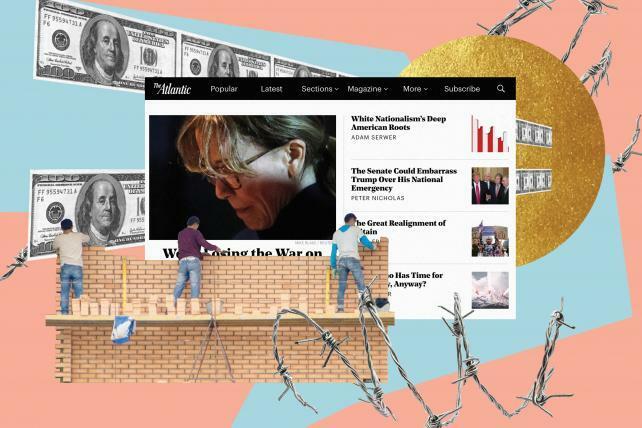 In 2008, The Atlantic, a legacy publication with a reputation for digital innovation, embraced the wisdom of crowds and took its wall down. But then digital ads got cheap, and publishers started to build new walls. So in December 2017, Bob Cohn, The Atlantic president, announced that starting in January visitors to its website would pay the equivalent of "one fairly nice cup of coffee" to read more than 10 of its articles per month. But the paywall didn't go up in January. Or in February. Or that year. And then a couple of weeks ago, Digiday reported that The Atlantic had indefinitely postponed its launch. Cohn blamed a shortage of technological product staff, and said The Atlantic would double the size of its team this year. "We made a decision to go back to first principles," Cohn explained. "We realized that we only had one chance to get it right." The New York Times, The Washington Post, The Wall Street Journal, Slate and Mother Jones have all had success with their recent subscription and membership initiatives, even if you discount the "Trump bump"—a temporary uptick in revenue in the months after the 2016 election. In November, New York magazine's various properties pulled everything behind a paywall. Two months later, Condé Nast said its 18 remaining titles would join The New Yorker, Wired and Vanity Fair behind a wall by the end of the year. Saved by the wall, right? Not if you read some of the coverage: "The Subscription-pocalypse Is About to Hit," declared a headline in Nieman Lab; Quartz explored "the psychology behind why journalism paywalls still don't work"; and Techdirt predicted that the media's "obsession" with paywalls would "end in disaster for most." After so many failed experiments, it's understandable that any new media initiative is met with a sense of foreboding bordering on fatalism. Wanna see a journalist cry? Whisper "pivot to video." But paywalls are different. Video production is expensive, and outlets that wanted to get into that particular game had to choose between diverting resources away from some of their core products—or all of them. (Memento mori: Mic.) No need for that with a paywall. "It doesn't mean that staffing or planning or strategy changes meaningfully," says Clare Carr, VP of marketing at Parse.ly. "You're just rethinking the revenue path." The new paywall push could also be evidence that media outlets are finally admitting that giving away content never passed muster as a business model. It took the near-total collapse of digital ad revenue—60 percent now goes to Facebook and Google—and the loss of thousands of jobs to get there, but better late than never. 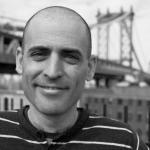 "Any media business that can develop an entire business model around reverse-engineering their content to the economics of platforms will survive," Sebastian Tomich, The Times' head of ads, said recently on Ad Age's "Ad Lib" podcast. "Any company that makes really high-quality stuff that is totally differentiated will win. … It's all the companies in the middle that I'm scared about." Small, undifferentiated outlets and newspapers, for example, probably don't have the resources to profit from the paywall trend. The Journal recently announced that it would devote three dozen new reporters and editors to youth-oriented membership and subscription programs; your local paper won't be able to do that. And there is a real possibility of reaching a saturation point. "The question is not whether publications can make paywalls work," Carr says. "It's how many of them people are willing to pay for." Subscriptions are not a panacea for an industry still reeling from technological disruption. The Atlantic might be worried that it will struggle to compete in a crowded marketplace for subscription dollars, especially one it's entering late. Or maybe it just knows that if you move a little slower you don't break so many things.